Not so very long ago I was standing in the pasture eating the long grass all day long, dozing and watching the clouds go by. I admit it was often quite boring. 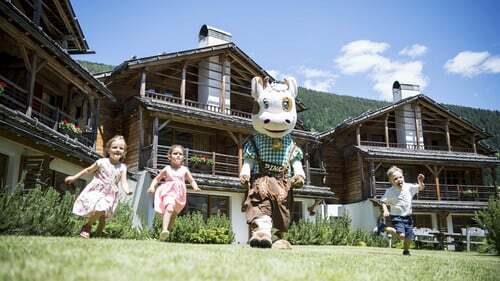 Then the hosts of the family hotel Post Alpina started looking for a mascot for their family hotel. To be honest, I always knew that I was born for greater things. So, I applied for the job without further ado. 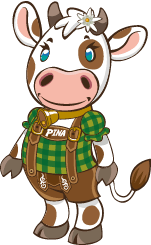 And now I’m here: Pina, the Post Alpina mascot. I’m in the right place here because I love children. 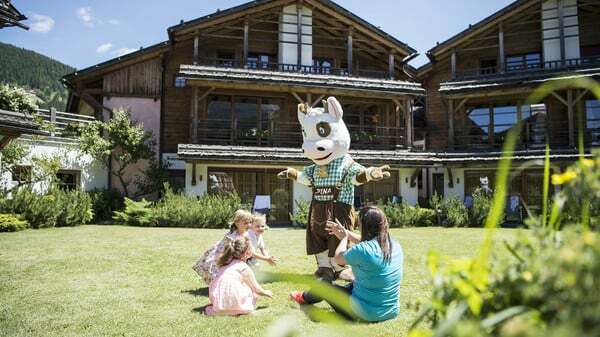 When they smile at me with shining eyes, want to have their photo taken with me or when I can give them a small cuddly toy that looks just like me, then I’m truly happy! I love to surprise the children during dinner sometimes, watch them have fun with the many great activities, go with them to the ski slopes and make friends with them. I simply have the best job in the world!